When Autumn rolls around each year I have two thoughts, okay I have more than two, but two things I often wonder about come October is why there's a lack of seasonal doormats in the UK. You know the ones... the modern calligraphy 'Hello Pumpkin' or with some quint pumpkin harvest illustration on. Like, why don't UK retailers realise Autumn lovers are that crazy obsessed?! Then the other thing I wonder is why there's a lack of Pumpkin Spice things. Yes, things. Because let's face it, if you love Autumn you love the idea of pumpkin spice anything even if you've never tasted a Pumpkin Spice Latte in your life. So, of course, that's candles - thankfully Homesense/TK Maxx have us covered on that front. But what about body mist, room fragrance, cute logo tee's (Primark, wake up! ), illustrated cups, notebooks, the list goes on... we need it all! 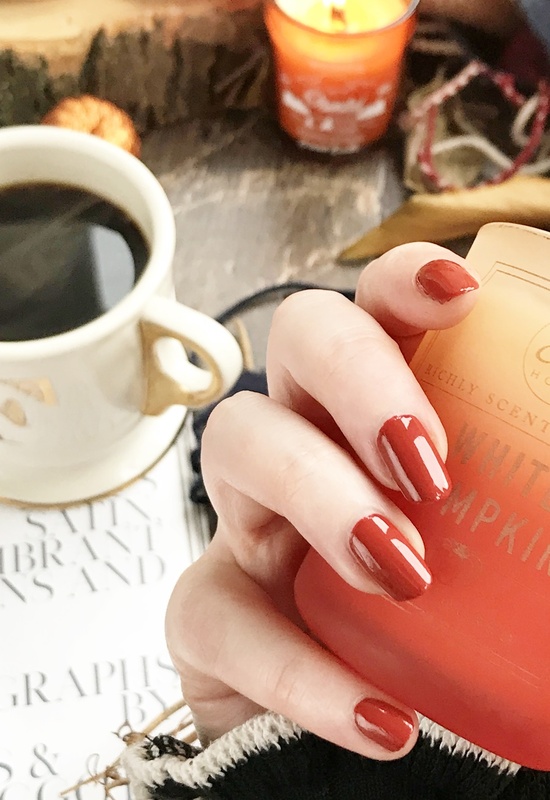 But thankfully we do now have a Pumpkin Spice nail polish which is not only the perfect autumnal shade but is actually called PUMPKIN SPICE!! 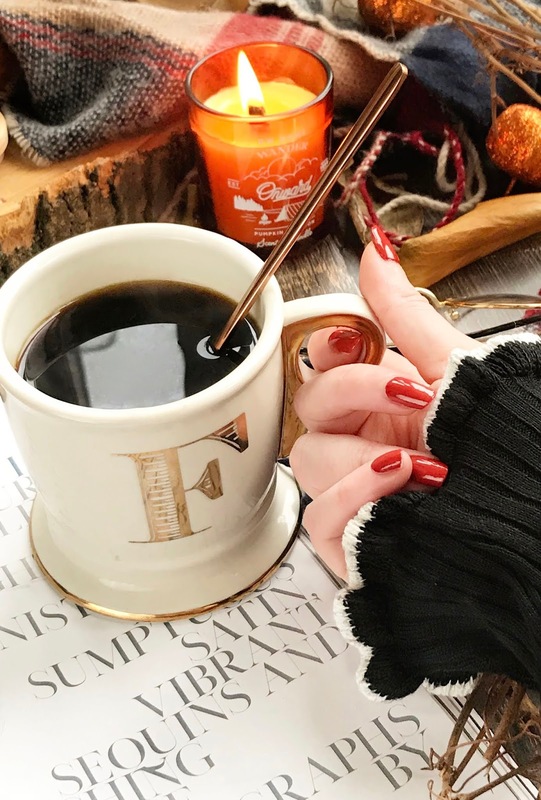 Now while we don't wear the nail polish shade name on your nails I think it's just simply nice to have an autumn themed shade that you can reach for each year. Much like how I grab Revlon Cherries in the Snow nail polish over other red tones come Winter and Christmas Time. 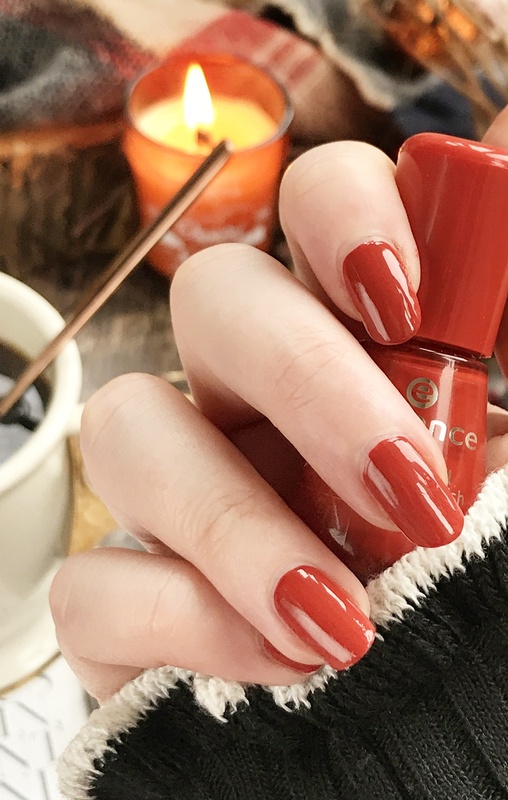 The nail polish I'm so lovingly talking about is Essence The Gel Nail Polish in Pumpkin Spice 117 which is a dark orange rust shade perfect for the colder autumn months. It's also a total steal at only £1.60 - such a bargain! 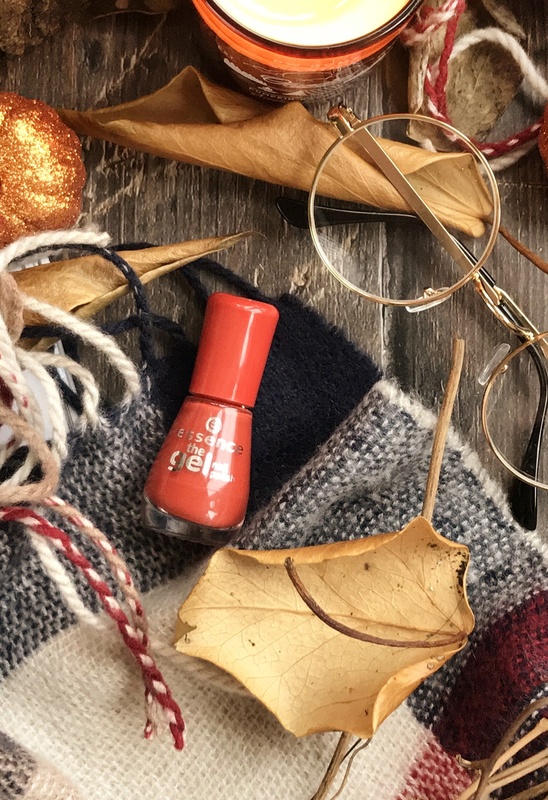 Yes, not only is this the perfect autumnal nail polish shade but it's a budget one that can be picked up at Essence stands in select Wilko stores or purchased online at Wilko (£4 home delivery or free click & collection - I went for the latter!). This is a shade from the new Essence collection, in case you are an Essence fan and wondering why you haven't seen it before, and in the 'The Gel' nail polish range which gives a smooth application and high-shine finish without the need for a lamp or even a clear top coat, it's that shiny! While I'm grateful for the gel-like finish and the easy application (this range of nail polishes literally glide on) I'm totally here of the hue! I mean matching your nails to your autumnal check scarf is totally a thing, right? 'Pumpkin Spice' is as you would expect, warm-toned and the shade of falling leaves. Perfect for wrapping your hands around a Starbuck's Pumpkin Spice Latte with leaves in the background and getting that IG shot. Or just perfect for wearing with an autumnal outfit of orange and mustard hues. As for the price, £1.60 really is such a bargain and having loved Essence nail polishes for years I really can't see much difference between this budget range and more expensive offerings. Offering a high shine finish that doesn't dull down and a formula that doesn't easily chip, unless you apply it too thick. Is this the ultimate autumnal nail polish*? Maybe so! I really do love it a lot and know it will be on my fingernails a lot this autumn and years to come. *My favourite autumn nail polish used to be Revlon Autumn Spice which was actually maple & spice scented (pointless but amazing!) however it was sadly part of a limited edition range which has long since been discontinued, argh! 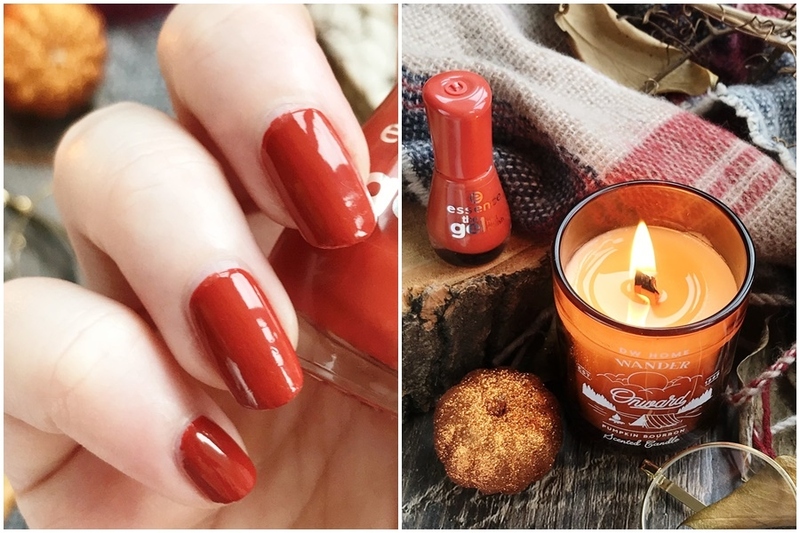 Let me know if you will be picking up this gorgeous Pumpkin Spice nail polish?